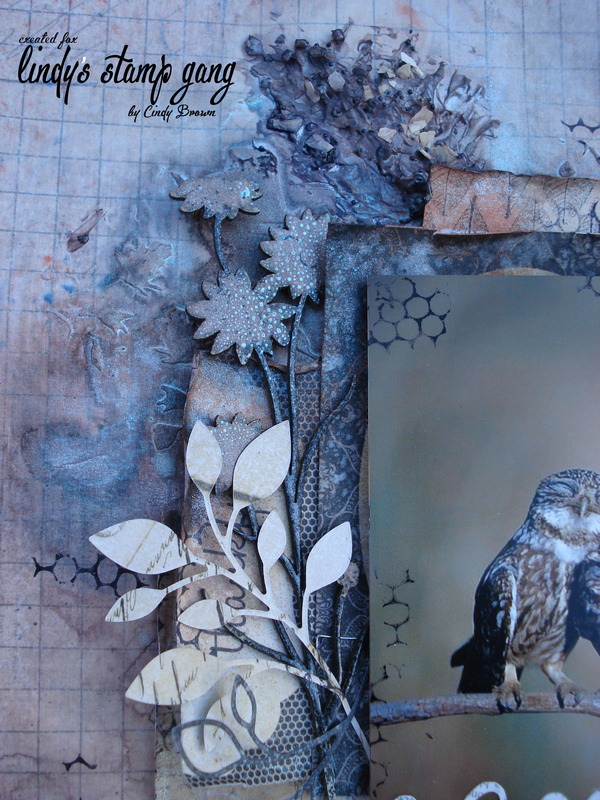 Cindy Brown here, so happy to show you an inspiration project for October’s Color Challenge. This month I love the color combo. 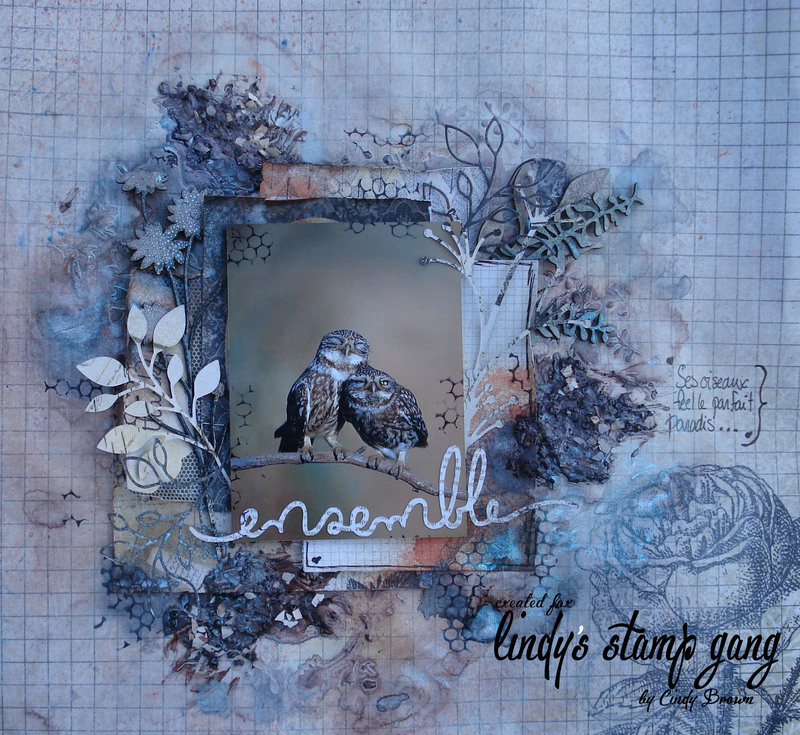 Lindy’s Stamp Gang always makes exclusive kits that match the color challenge palette for the month, and this one is by far my favorite. The colors go so well together! I made a three dimensional page. I enjoyed using my Lindy’s products that I LOVE LOVE LOVE! 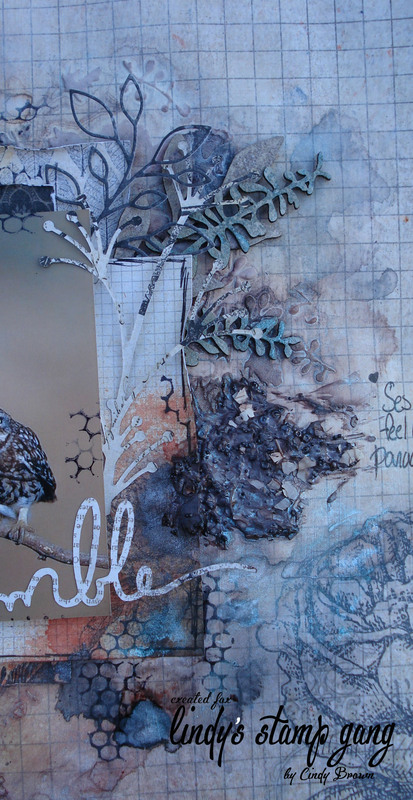 I love using embossing powder on chipboard, that I love to use all the time. I also love the look i achieve when I make the watercolor effects by diluting with water the sprays. It’s magical! The best is using the Magicals. Have you seen the colors change when they come in contact with water? I love how it all looks on this page! Absolutely STUNNING!! My kind of page, plenty of grunge. To me this is eye candy lol!! This is such a beautiful piece! !